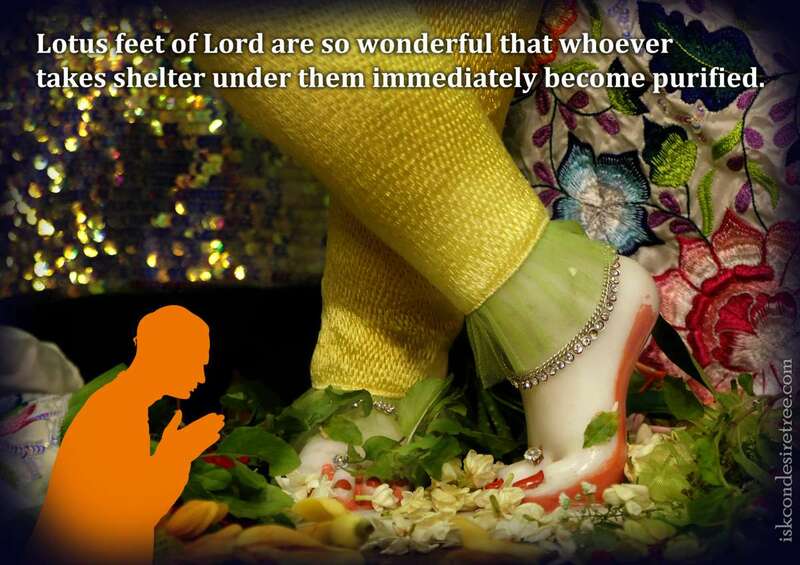 Lotus feet of Lord are so wonderful that whoever takes shelter under them immediately becomes purified. When one sees the lotus feet of the Lord, all kinds of doubts and fears within the heart are vanquished. How can the fire of material suffering continue to burn the hearts of those who worship the Supreme Lord? The Lord's lotus feet have performed innumerable heroic deeds, and the beautiful nails on His toes resemble valuable jewels. The effulgence emanating from those nails resembles cooling moonshine, for it instantly relieves the suffering within the heart of the pure devotee, just as the appearance of the moon's cooling light relieves the burning heat of the sun. 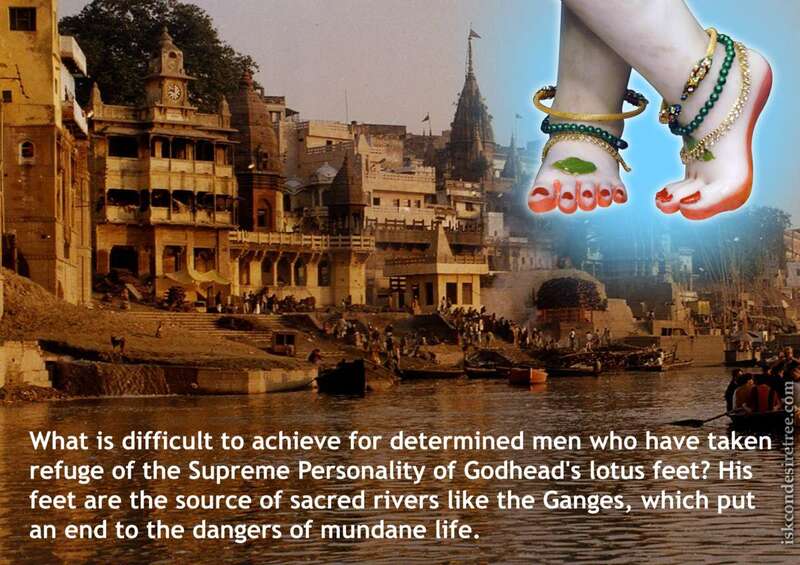 What is difficult to achieve for determined men who have taken refuge of the Supreme Personality of Godhead's lotus feet? His feet are the source of sacred rivers like the Ganges, which put an end to the dangers of mundane life.